Throughout the year, Indiana University's African American Arts Institute's ensembles travel around the country, entertaining crowds and promoting black music, dance and culture. But once a year, members of each of the institute's three ensembles -- IU Soul Revue, the African American Dance Company and the African American Choral Ensemble -- get together to present a night of dance, gospel, music and collaboration through the annual Potpourri of the Arts in the African American Tradition event. "The Potpourri is unique in that it brings together an incredibly broad range of music and dance genres and cultural representations of the African diaspora in one space and at one time," said Charles Sykes, executive director of the African American Arts Institute. 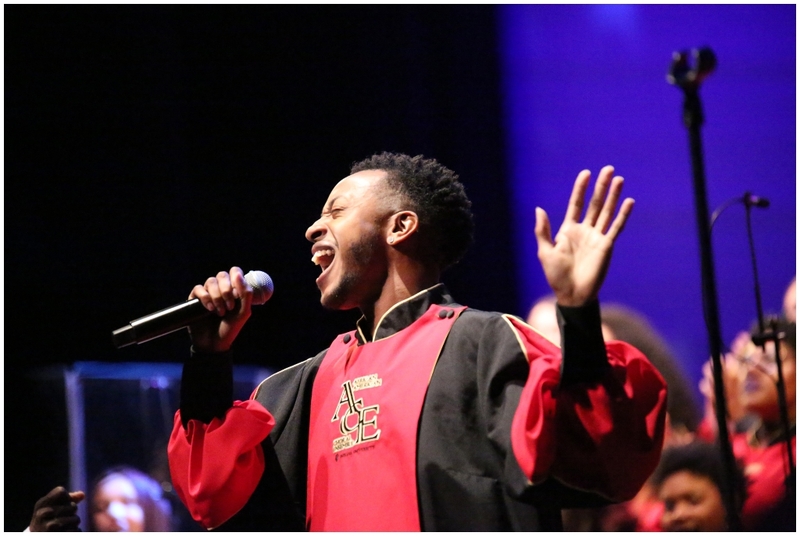 "The student performers and the audience get to experience so many different variations of the black experience in one performance -- from gospel and spirituals to dances from Africa to black popular music by the IU Soul Revue. There's no other college or university that I know of that has anything like this to offer students and the community." This is the 25th year for the event, which takes place at 7:30 p.m. Nov. 10 at IU Auditorium. Below, three students, one from each ensemble, talk about the significance of the African American Arts Institute, their love of performing and what it means for all of the ensembles to perform as one. When LaRose Nicolas came to IU Bloomington her freshman year, she was no stranger to the campus. Growing up, she had family members who attended the university, and she spent many weekends traveling from her hometown of Madison to attend IU football and basketball games with her uncle. 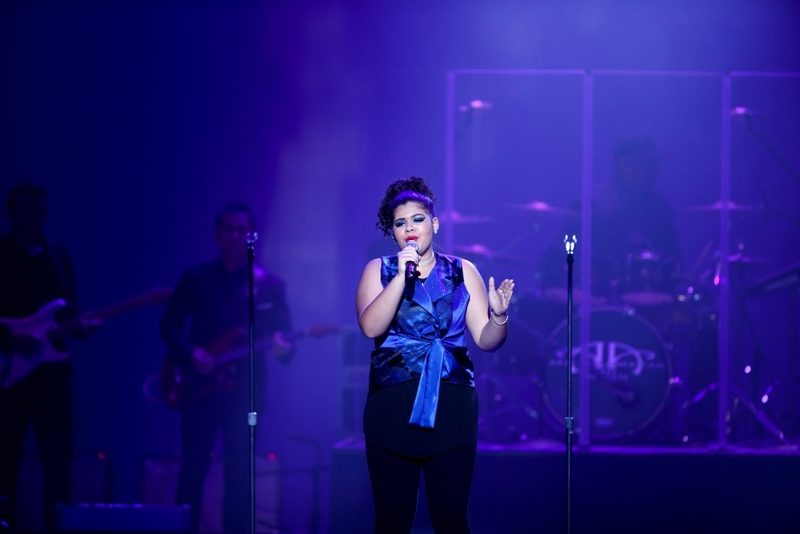 But she had never heard of IU Soul Revue until she attended New Student Orientation, where the entertainment included a member from one of the ensembles. "Just the way she sang, her voice was amazing, and I knew that was the kind of performance I wanted to be involved in," said Nicolas, who grew up in musical theater. "When she told me she was in a group on campus called Soul Revue and that their entire focus is based around black music and culture, I couldn't believe it. I knew that's what I wanted to do." Nicolas, now a sophomore majoring in liberal studies, auditioned by singing "I Have Nothing" by Whitney Houston. Nicolas was nervous, but she was also determined to make it -- so determined that as she heard a few other auditions while awaiting her turn, she went into the bathroom and revamped her song. "I had never wanted something so badly in my life," she said. She got in and has spent the past three semesters performing with a group she said is like family. It's not only the members of Soul Revue who are family, she said, but everyone involved in the African American Arts Institute. The ensemble, and the institute, have allowed Nicolas the opportunity not only to do what she loves -- perform in front of people -- but to explore a different side of herself. Raised by a single, white mother in a predominately white community, Nicolas was never exposed to black culture and struggled with her identity. "I'm biracial, and I used to question my blackness," she said. "But once I got into this group, I never had to deny my blackness. I never feel excluded. It is so comforting that we can all come together to share a love of black music, regardless of what we look like." 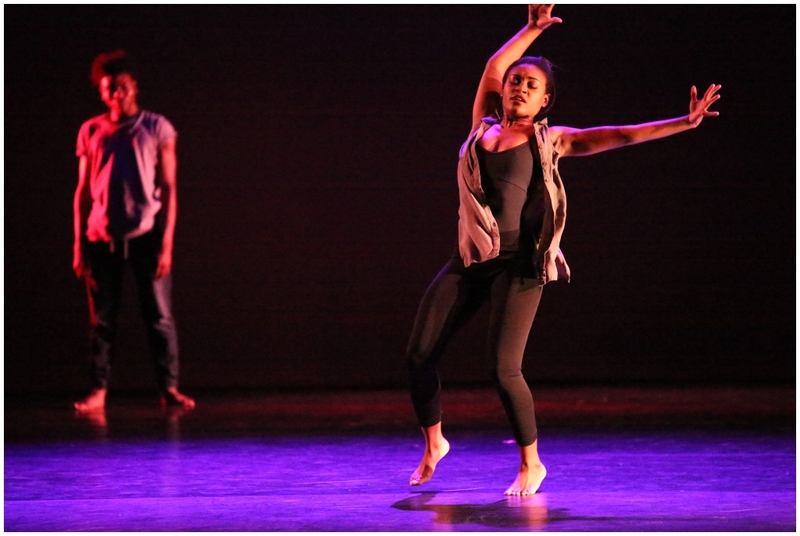 Senior Alexis Beverly first saw the African American Dance Company perform when she attended the annual Potpourri of the Arts with her church youth group. A dancer all of her life, the Indianapolis native was hooked and knew she wanted to be a part of the group. "After seeing the dance company perform, I knew I would fit right into this family," she said. That performance also changed her view of dance. Having performed mostly with dance teams, Beverly had never been exposed to dance that told a deeper story. She also never realized dance was something she might actually do for a living. "I was sitting in the third row at the Potpourri and they did a piece about cellphones and social media and how our generation is driven by technology," she said. "I was really drawn to it because of the meaning behind the dance. Growing up, I danced for fun and as something to do. But I learned that dance can have meaning and can be really impactful." Beverly now plans to pursue dance as a profession and credits her time with the dance company, and former director Iris Rosa, as inspiration. While thankful to be involved in a program that celebrates black culture, Beverly said she is also grateful for the opportunities the African American Dance Company has provided to learn about other cultures, including a trip to China and Cuba. On Nov. 10, Beverly's experience with the company will come full circle when she performs in her last Potpourri of the Arts before graduating. As her time with the group comes to an end, she is hoping her performance, and that of her fellow students, will inspire the next generation. "The Potpourri is so special to me because we all work so hard to make it happen," she said. "To see our combined talents together in this big show is awesome. I hope I'll be able to inspire somebody else to join the dance company, just like I was inspired years ago." Growing up in Atlanta, Darian Clonts has years of experience performing for a crowd. He started out singing in his church and joined the Atlanta Boys Choir at 5 years old. He attended theater and arts high school, where he performed in numerous musicals, and eventually made his way to IU to pursue a master's degree. When he met Raymond Wise, director of the African American Choral Ensemble, Clonts decided to join. The experience was so positive, he came back to pursue a doctoral degree in voice performance at the Jacobs School of Music. "The type of repertoire that I see the choral ensemble perform is really what led me to the group and is what made me want to stay," said Clonts, who is now serving as a vocal coach for the group. "We do songs for, by and about African Americans. I didn't get a lot of that in high school, but I did get a lot of that in college, in my undergrad, so I wanted to continue that type of repertoire." Clonts said the focus of the ensemble, and the African American Arts Institute, is unique, providing students not only an opportunity to perform but a cultural experience they wouldn't receive in many places. That all comes together during the annual Potpourri event, which Clonts said is a time he feels connected not only to his ensemble but to all of the students who make up AAAI. "I love the Potpourri," he said. "It is one of my favorite events of the year because we get to perform with the other ensembles and interact with them. That is when I really feel the family aspect. Everyone is so supportive. It is really a big family."